There is a new noncompete bill in Massachusetts. (Jump to the end for the details.) It is not yet docketed, however, so I do not have an official version to post at this time. Those following the Massachusetts legislature’s efforts to improve Massachusetts noncompete law will recall that in 2008, then-Representative, now Senator, Will Brownsberger and Representative Lori Erhlich each separately introduced their own noncompete bills. Brownsberger’s bill took the approach in California, Oklahoma, and North Dakota, banning noncompetes in the employee context. Ehrlich’s bill took a moderated approach, focusing on procedural and other limits. In the spring of 2009, Rep. Brownsberger and Rep. Ehrlich decided to work together toward modifications acceptable to both. 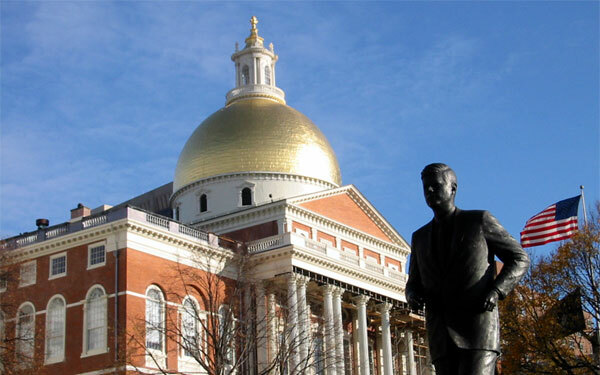 After extensive input from many different interests, they arrived at a “compromise bill” designed to codify, clarify, and modernize Massachusetts noncompete law. The compromise bill was revised over time and developed quite a bit of steam during the 2008–2009 legislative session, but ultimately died. Then, a revised version of the bill was introduced in 2010, though it too ultimately died. The new bill – called the “Noncompete Agreement Duration Act” – leaves most noncompete law in tact, and, as its name suggests, focuses on the duration of noncompetes (in the employer/employee context). As before, the bill does not affect the law of trade secrets, nondisclosure agreements, nonsolicitation agreements, no raid/no hire agreements, noncompetes in connection with the sale of business (if the restricted person owns at least a 10 percent interest and received substantial consideration) or outside the employment context, forfeiture agreements, or agreements not to reapply for a job. The bill then creates a presumption that a noncompete that lasts up to six months is presumed reasonable in duration. The bill also creates the opposite presumption: a noncompete that lasts more than six months is presumed unreasonable in duration. The presumptions are not absolute; they can be overcome. If a court determines that the duration is unreasonable, however, the noncompete will be unenforceable in its entirety. I expect that the bill – as well as another bill taking the California approach – will continue to be the subject of much discussion. If you have input, we would be extremely interested in hearing from you.